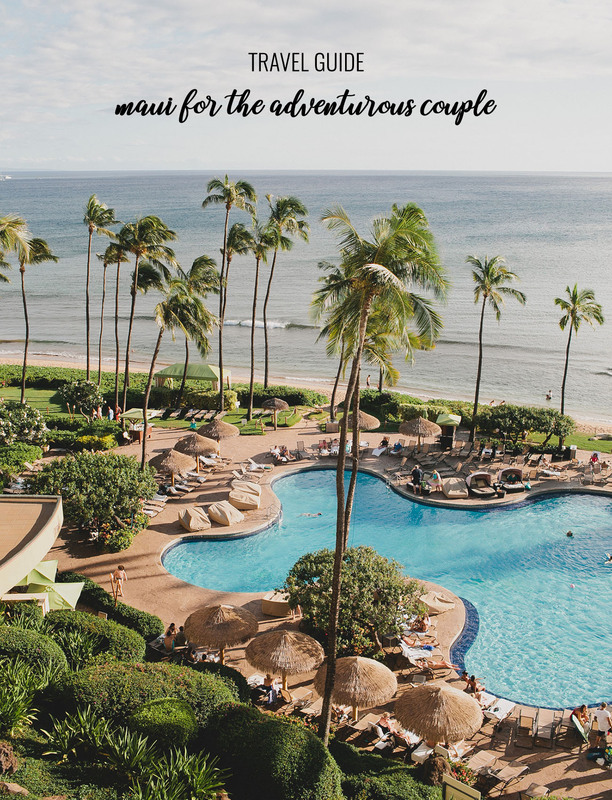 My husband and I went to Maui for our honeymoon 6 years ago and immediately fell in love with the ‘Aloha Vibes.’ We had a relaxing stay, but since it had been our first time, we weren’t fully prepared for all the fun you can have on the island. We were lucky enough to visit Maui a few weeks ago (bless!) and planned out an epic, adventurous vacation. 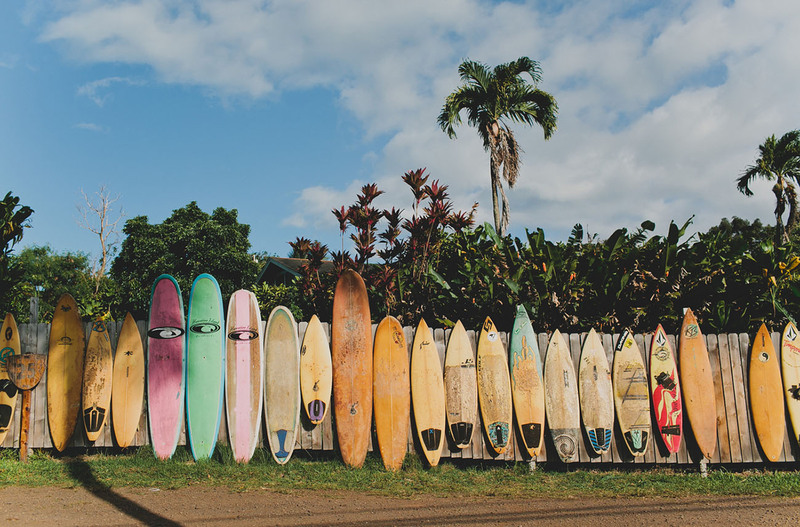 Being adventurous doesn’t mean you have to stay somewhere rural or in an AirBnB off the grid – Maui has so many great ‘starting’ points that you can’t go wrong. 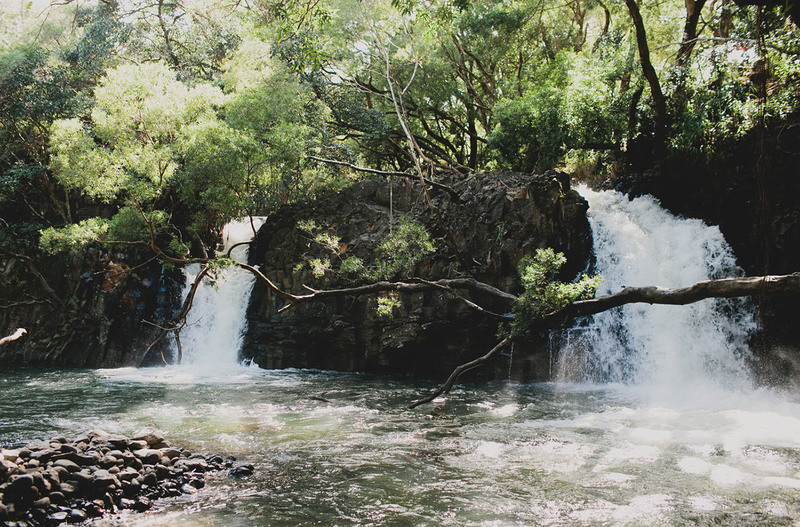 I hope this guide can help you with planning your next trip to Maui and spark some adventure in you! 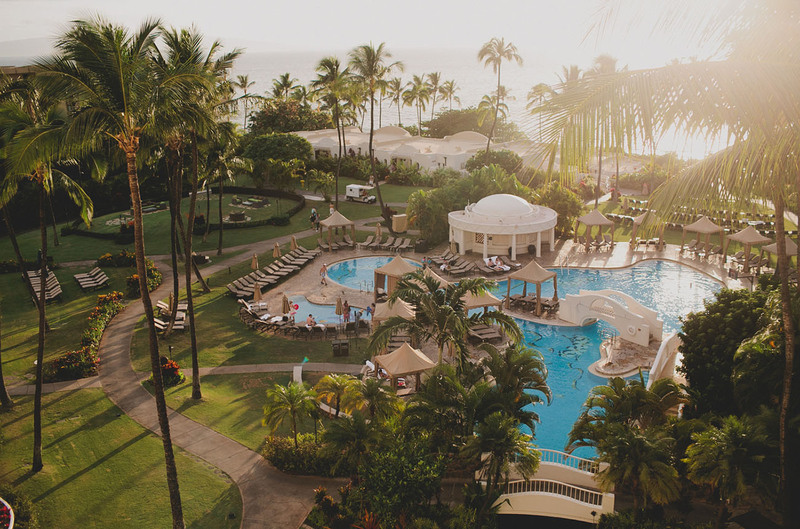 We cannot say enough good things about the Hyatt Regency Maui Resort & Spa! When booking our trip, we worked with the Kiwi Collection to arrange our stay here and are so happy we did. The Kiwi Collection does an amazing job curating the best hotels for every destination so you know you don’t have to worry about that – every hotel they recommend is such a great find! 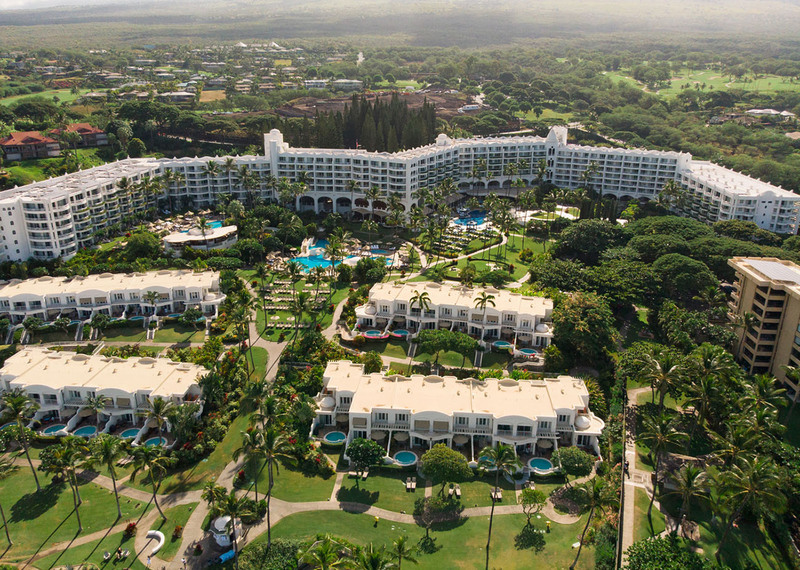 Located along the Kaanapali beach in Hawaii, the Hyatt is also right next to Lahaina, another iconic Maui location. So really there were a ton of things to do, see and eat in the area! 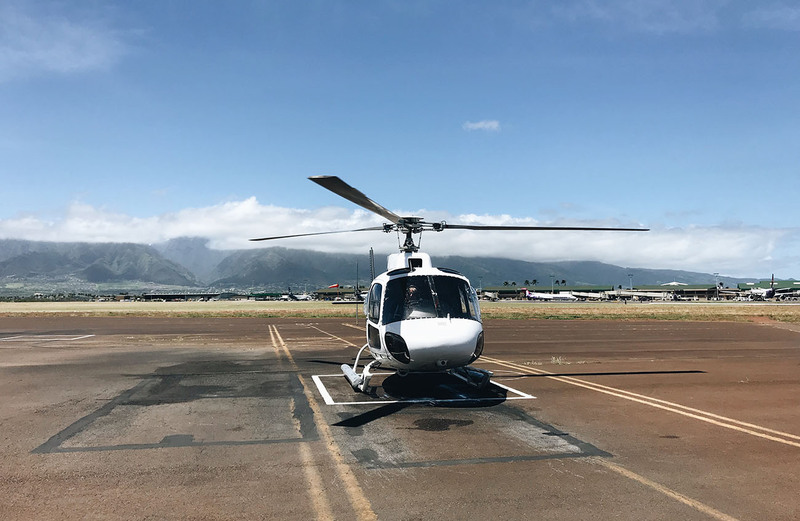 The trip was about a 45 minute drive from Kahului airport which isn’t bad considering most of the drive you get to see the ocean right off the side of the road – so dreamy! What resonated so well with us about the Hyatt was that it felt so intimate. Still a large and gorgeous property, but everything felt so familiar. The ocean was SO close (I mean, check out the photo above that was literally the view from our room we woke up to everyday) and everything centrally located in the hotel. You never had to walk too far for some pool time, the spa, gym or even some fruity cocktails! We were smitten. 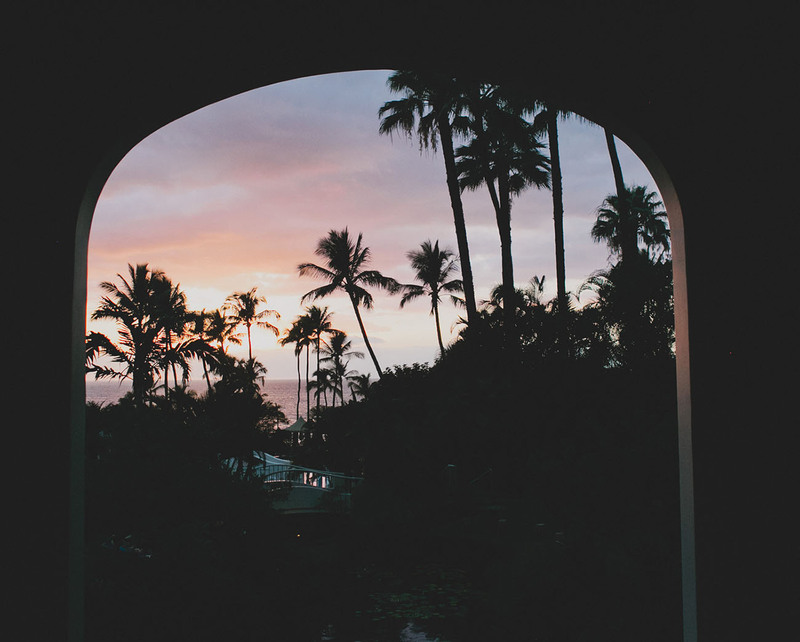 At check-in, we were greeted with leis and the most perfect timing to check out those gorgeous Maui sunsets everyone raves about. We also enjoyed the walkway along the beach the hotel had, which took you up around Kaanapali beach and to some good eating spots too. During our stay, we were able to experience their Regency Club Access; a daily offering of breakfast, afternoon snacks, evening service and cordials & desserts. Every morning we’d head down to a gorgeous breakfast spread (and allll the coffee! ), take a dip in the pool or lounge in a cabana and finish the day off with their yummy dessert choices as our night cap. It was so convenient! Out first full day on the island, we chose to relax, having just traveled the whole day before and because yes – you gotta rest before you go do some crazy adventurous stuff! So many instagrammable moments at the Hyatt! 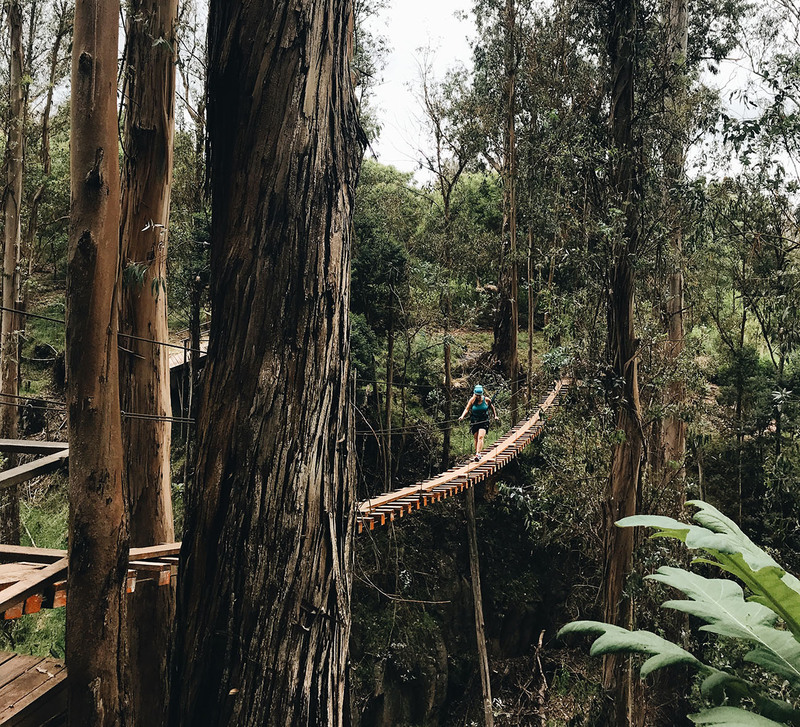 We loved the suspension bridge and hammocks to name a few (they even have a fun map that has other photo-worthy spots!). While staying in the area, we were able to check out Monkeypod, a HIGHLY recommended spot for good Mai Tai’s and excellent food. 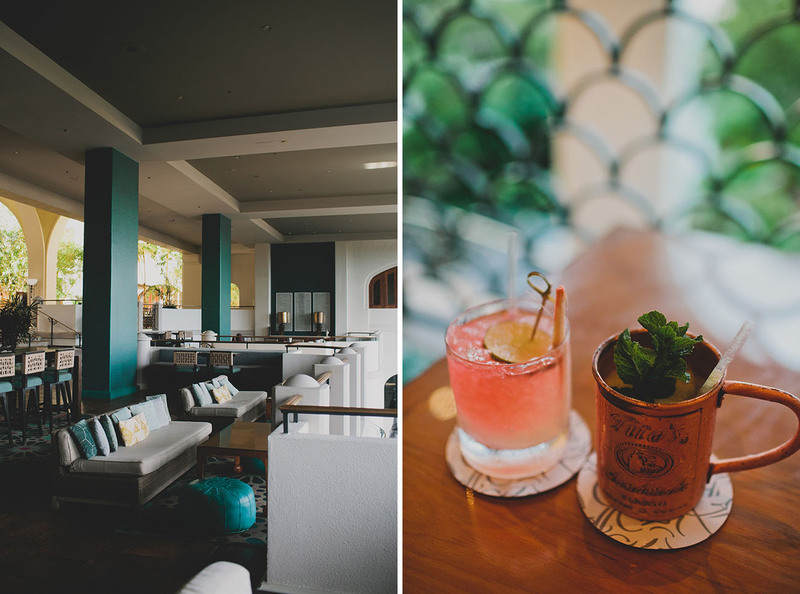 Definitely check it out if you are ever in Maui! 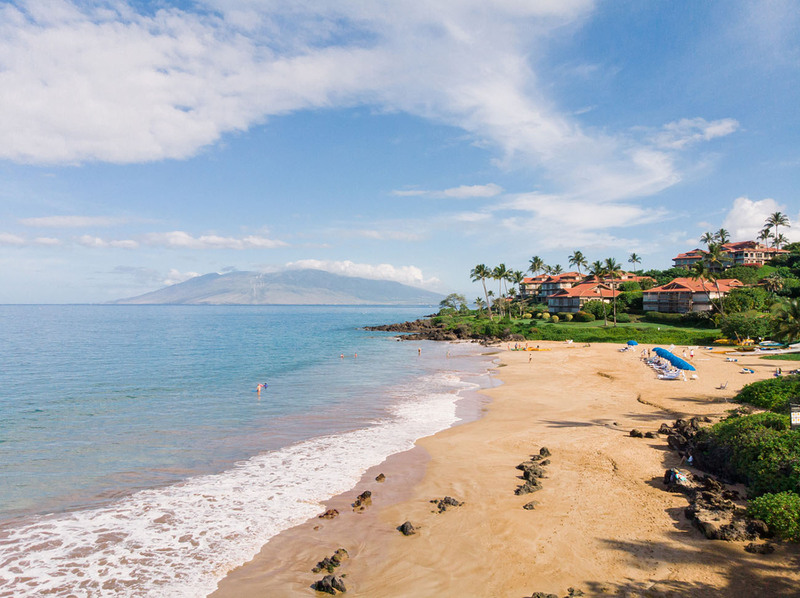 They had locations in both Kaanapali and Wailea. 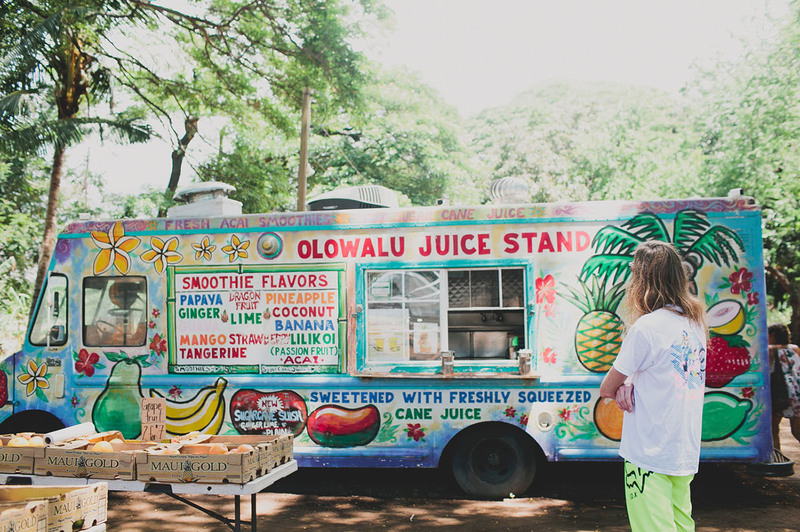 Something we also loved about The Hyatt was that they had an Ululani’s Shave Ice on location! We didn’t try shave ice our first time around on Maui so we were SO happy to have something so close at the hotel (and right next to the pool, YES!!!). 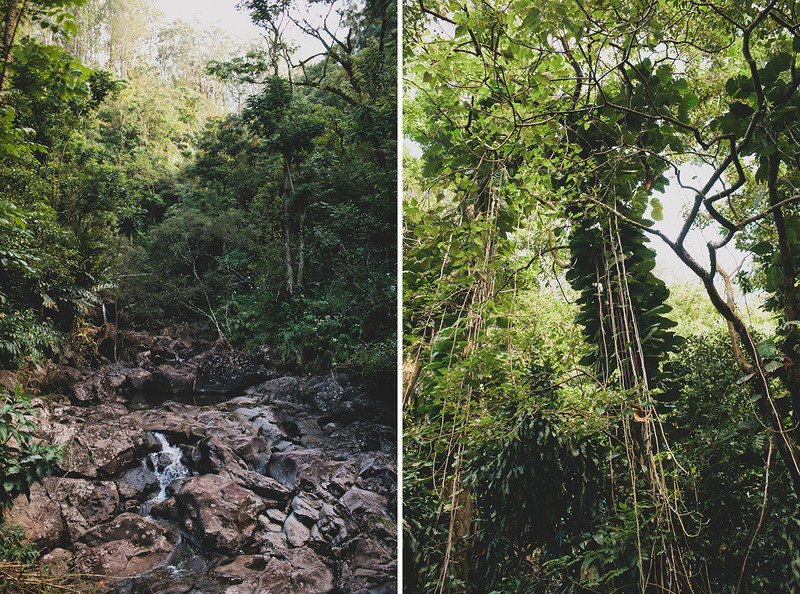 The first thing we wanted to do on Maui that we had heard so much about was go zip-lining through the trees. Such a rush! There are a few different locations when choosing, so be sure to do some research on the experience you want. 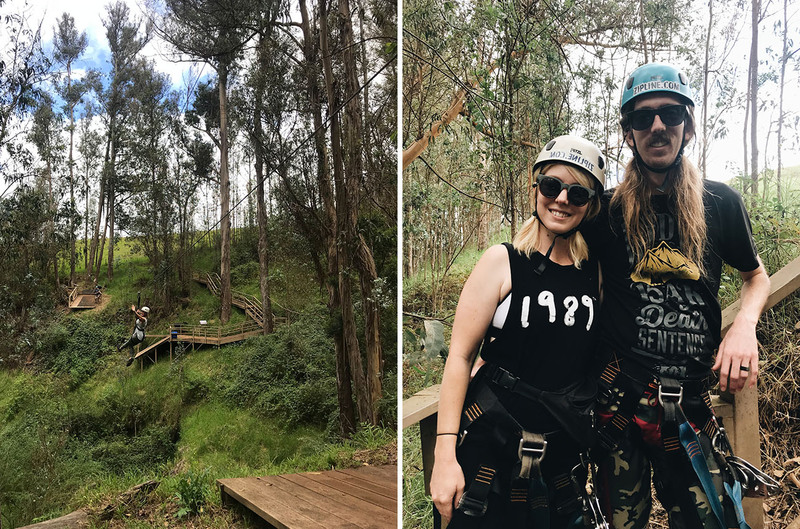 We did Skyline Eco Adventures which was located up near the Haleakala volcano and really felt like you were zipping through a rainforest! -Fresh fish and seafood. 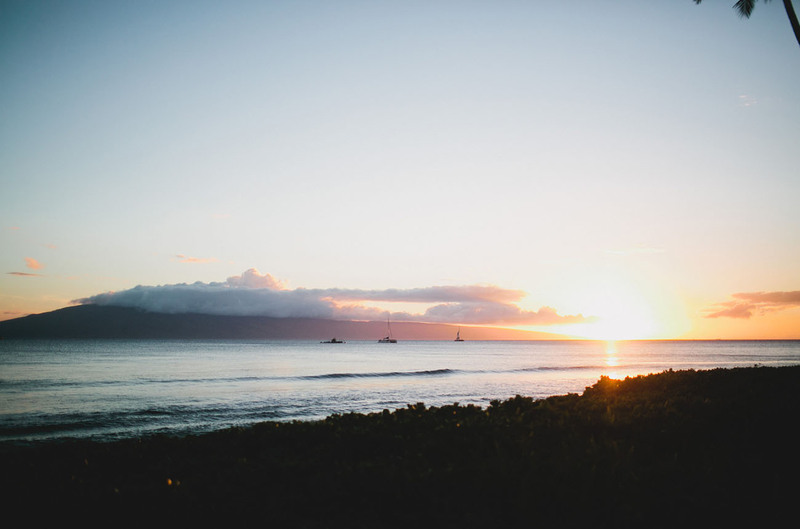 Check out Mama’s Fish House for the best, located in Paia with a gorgeous view of the ocean. –Maui Pie because everyone loves pie, right?! -Loco Moco. A local suggested Da Kitchen Cafe for this! 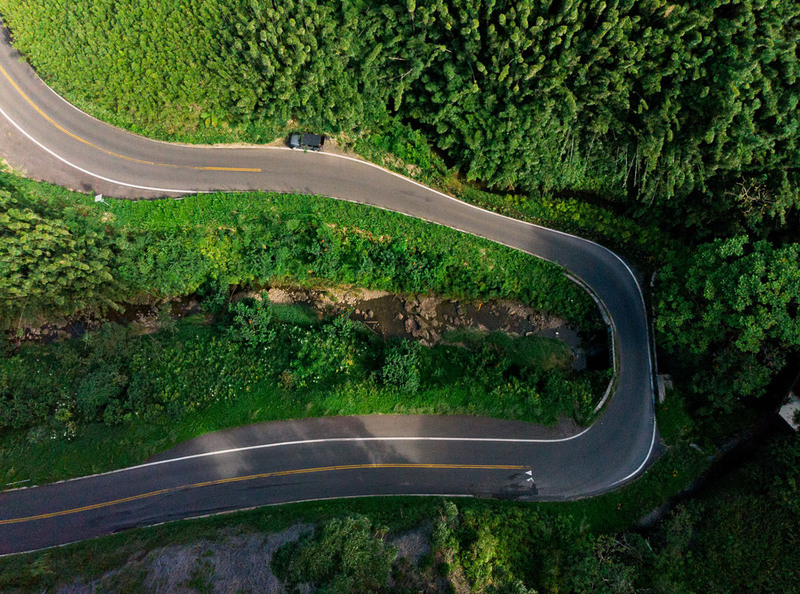 Something you must do on your visit to Maui, at least once, is drive the road to Hana. Like, do not pass go on this! The trip is about a 2.5 hr drive if you don’t stop, but definitely plan on that happening! A good tip is to start your drive early to avoid local traffic throughout the afternoon on your way back. Twin Waterfalls is another great spot to stop and hike. 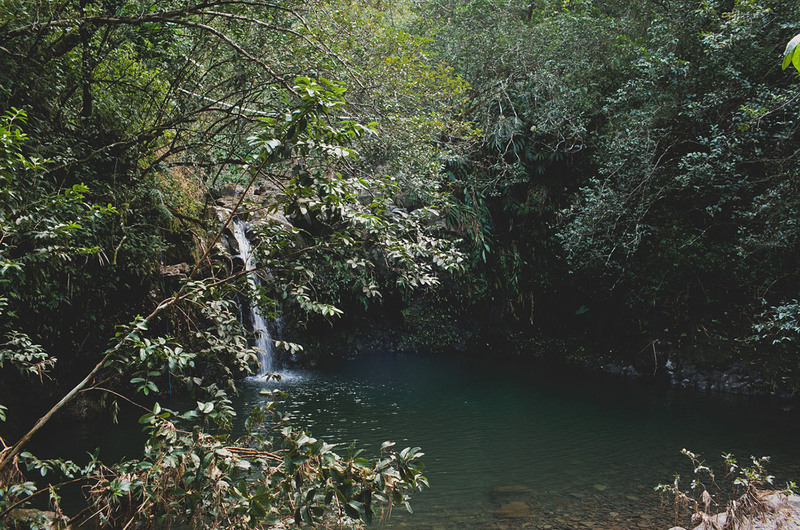 The Waterfalls are just past the two mile marker, and a short walk to get to (under 5 minutes). Make sure to bring bug spray! There are a few longer hikes you can take in this same area to get to other waterfalls, but we stopped at the Twins only – they were so pretty! 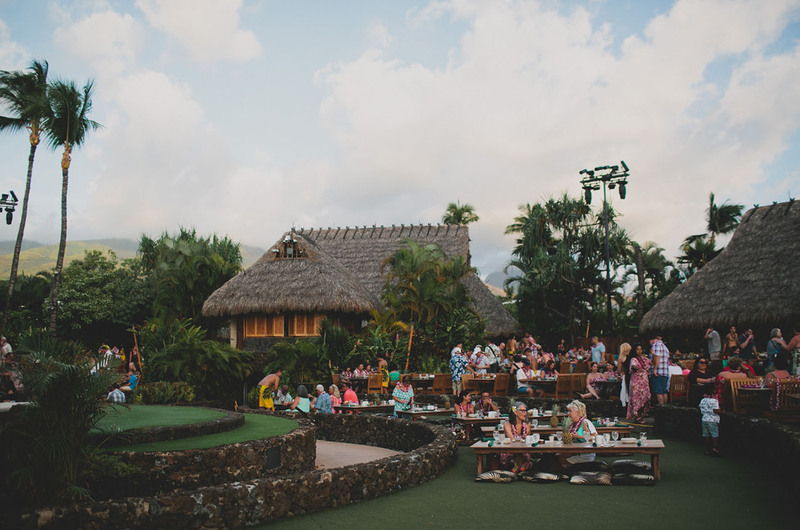 Another ‘must do’ that isn’t quite adventurous but still a must – you have to see the Old Lahaina Luau in Maui! 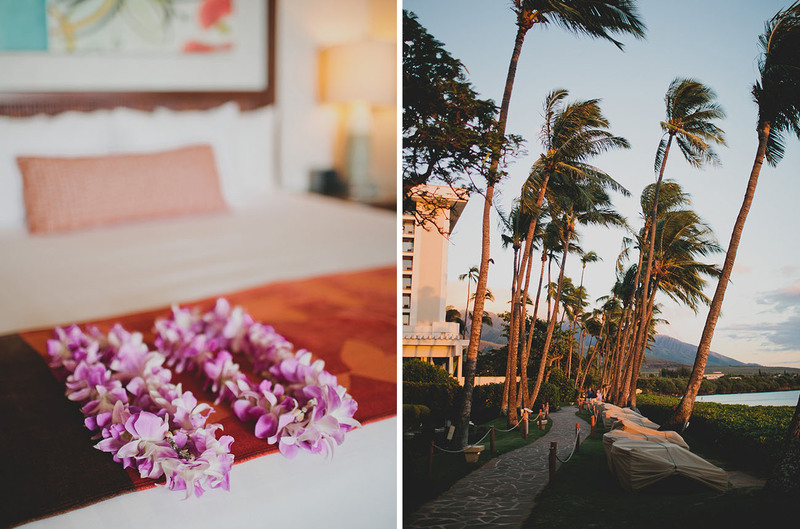 This gorgeous place is set in Lahaina with the ocean as its backdrop. So stunning! Although we loved the fruity drinks, leis and yummy traditional Hawaiian dinner, the most important part was the actual performance. 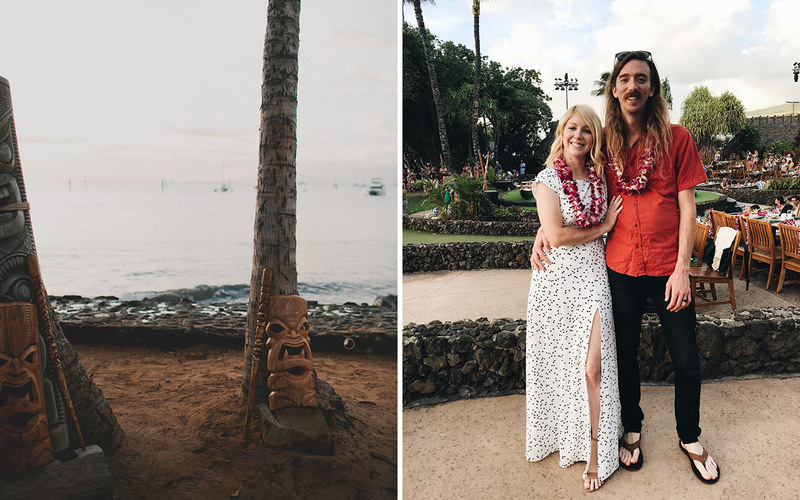 When visiting a new place or country, it is important to learn about the culture that has long been honored and this luau did a beautiful job showcasing the history of Hawaii and the traditions they uphold. 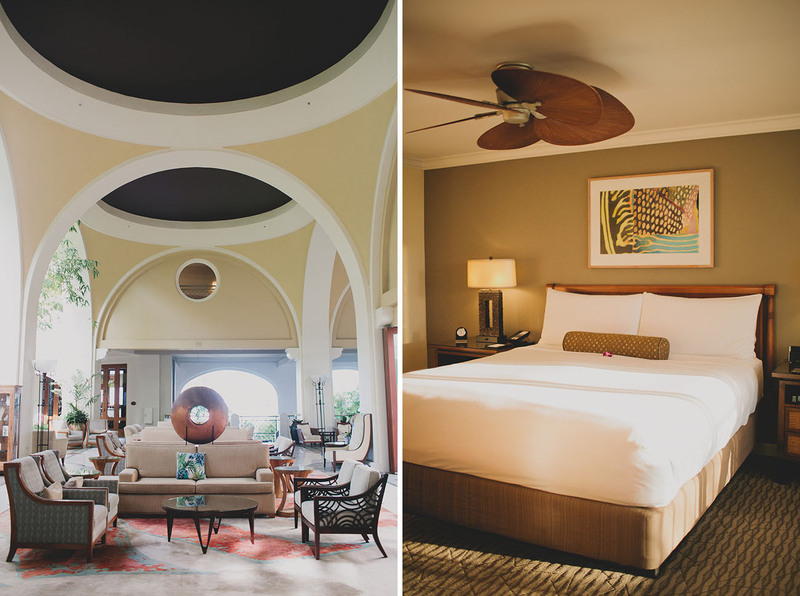 Our experience at the Fairmont Kea Lani was SO enjoyable. 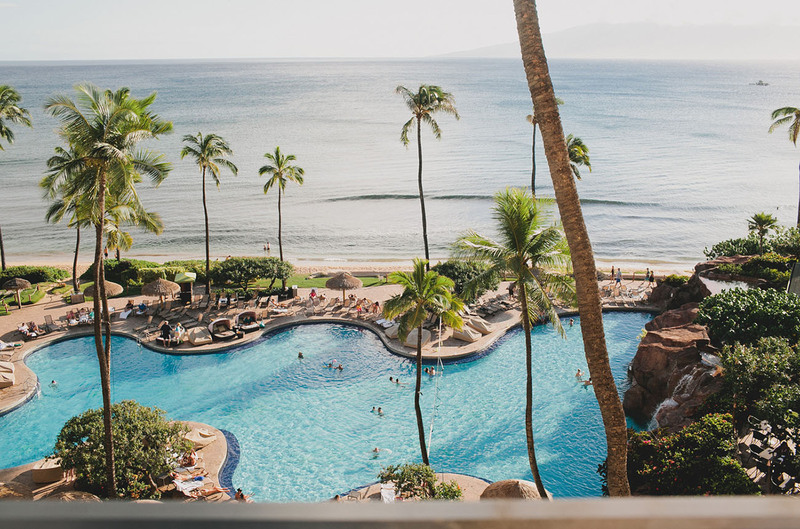 Here are just a few things the hotel offered that we loved: 3 different pools, one being an adult-only pool (more on this later), private beach with water activity rentals (more on this later too), multiple restaurant offerings, a spa and fun lobby lounge area just to name a few! You can see from the aerial shot above, I was able to capture just how large and luxurious the Fairmont is. It was perfection. Our room was a gorgeous oceanfront suite with views for dayyyyys. 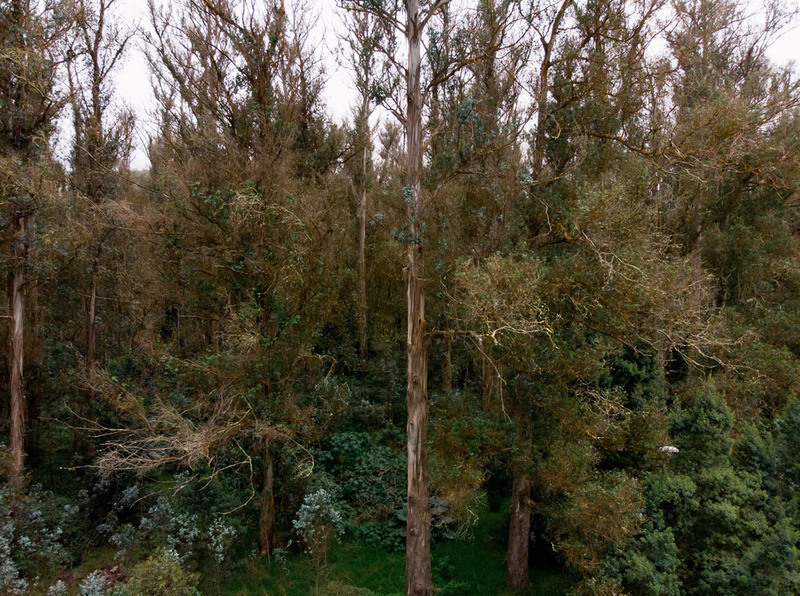 The photo above is the actual view from our room and was so heavenly to wake up to in a morning. With a living area, separate bedroom and sweeping balcony, it was the perfect place to wrap up our trip! 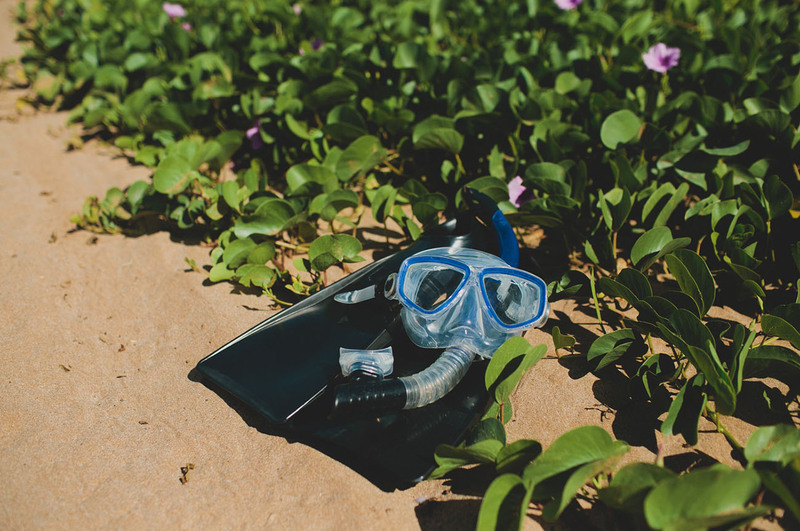 A must list adventure item for me was going snorkeling, and I’m so glad I waited to do this until our stay at the Fairmont because bonus: they offer free snorkeling rentals to guests! I was able to check out a snorkel kit for one hour and swim along the beach. The Fairmont has a private beach that was great to feel like you had to yourself. The rocks in the photo above were the perfect spot to explore – I saw a few colorful fish as well as some type of eel (?) It was super convenient and fun! 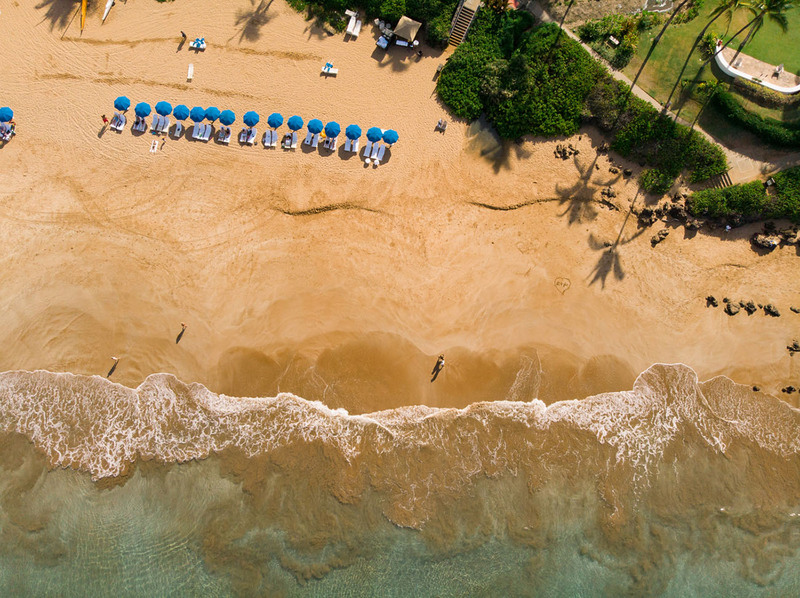 The view from above the Fairmont beach is pretty great too, right?! 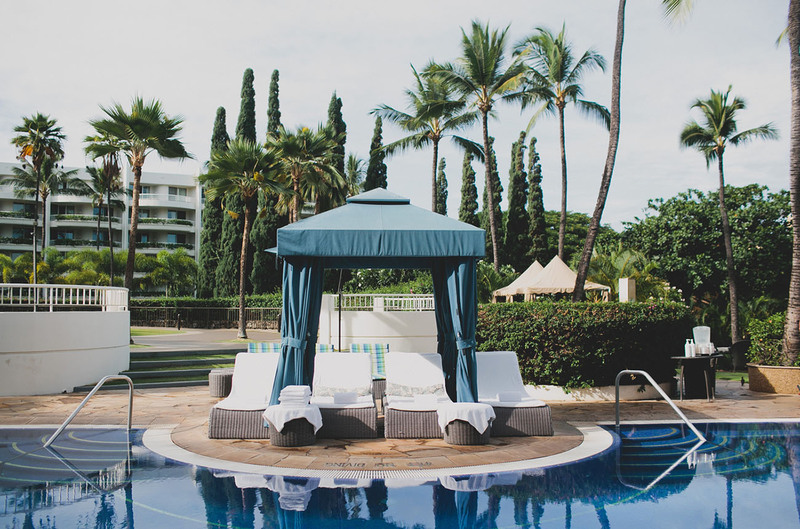 Another treat we loved on this stay was having a Cabana rental on one of our days off – because every great adventure needs a rest day too! Our cabana was located at the adult-only pool so everything was quiet and relaxing. We were even given a cooler with waters and snacks! This view is from their lobby lounge, Luana! Serving up cocktails & pupus (appetizers), we were able to get a quick dinner here our first night on property. And with views like that, who can complain?! 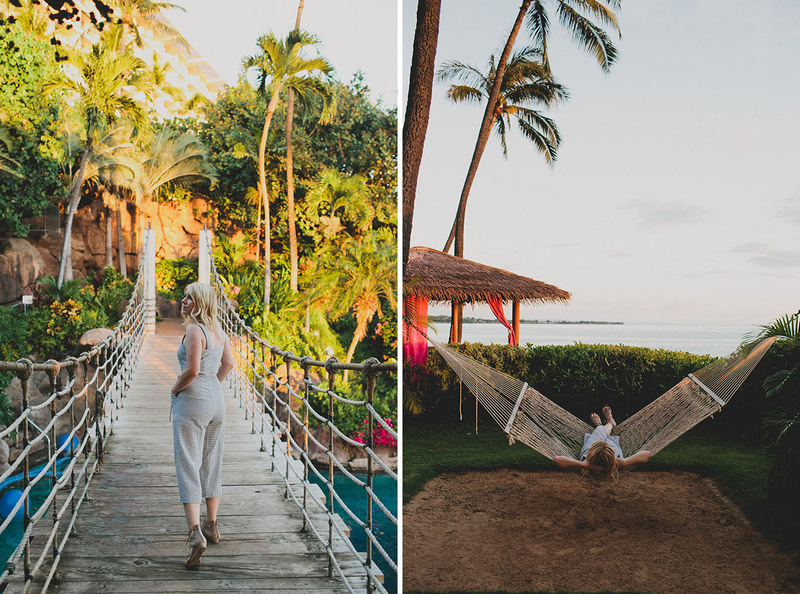 Thanks so much for following along on our adventure to Maui! We’ll be taking over the GWS Instagram account this weekend with some fun images from our tip so make sure to be following along! Big thanks to our friends at Kiwi Collection for helping us bring this travel experience to life! I would love to photograph a wedding there!